Recently I have noticed that I take time to browse the beauty counters rather than jump right in to buy everything. We all would love to be able to try all the latest must have beauty products but with a budget that's not realistic enough. I wanted to share with you how my relationship with beauty has changed from the age of 15. I have always been into magazines, beauty and talking to my friends about girly stuff at sleep overs. We used to paint our nails and watch super girly films whilst reading the latest edition of Seventeen. I grew up in South Africa so it took me a while to adjust to high school in England, all of a sudden I was under pressure to have the latest name brand item and to wear my hair in a certain way. I know how tough school can be but we all should embrace what we love, it took me years to get to the point to say this to myself. I think my turning point was college I finally could figure out what it was I loved and not what was popular at the time. Make up: I know that my relationship with make up has changed drastically. when I was in College I used to work part time and when I got my wages at the end of the week it would all go on clothes and make up. This went on for years, I ended up with so many beauty items that would sit in my draw and never see day light. Now I work out what I need first of all and what items would benefit me, I want to be able to use the items up. There are a few items I keep safe and only use for special events but these are products I have saved up to purchase. I browse the beauty counters now and look at everything, I make sure that when I try the latest product that it suits me or something that I know I would use. I always blog about items I truly love and items that I buy that I know I would use. I still buy items I think dam that was a waste but its very rare this happens. I go into Boots knowing the latest products and come out with enough to know I haven't over done it. I wish I could just go for it and create an impressive amount of beauty products but what I have I use up and treasure. I find that I truly enjoy every product I buy now and appreciate every use. Any one else feel the same about beauty products? Hair Care: I must admit I used to buy all sorts of hair care products when I was around 18. Nothing that I could set a routine with. I never thought this would benefit my coloured hair or this will help for dry hair. I would pick anything that sounded nice to try that week, I must admit my hair care is now set to what my hair needs. I dye my hair so I make sure I have keratin in my shampoo, since knowing more about what my hair needs it helps to keep it in top condition. I am picky when it comes to buying hair products now, I go for things that will benefit a routine. I love to try out new hair care products and I never stay with the same, its fun to change it around sometimes. Recently though there have been a couple brands that I am really enjoying and have repurchased the same again. I think with my make up I want it to benefit my skin tone, my hair colour and all this comes in to consideration. I have learnt how certain colours suit me and what I truly love. I find that even though beauty has always been a huge passion for me I truly enjoy it more now. 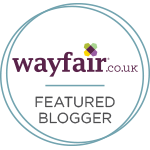 I am so pleased I have my blog to share the products I love with you. It helps me to truly analyse how I feel about each product and to see how much it benefits me buying it. I adore trying out new products and being more adventurous with it. I keep all my products safe in draws and I take care in when I use them and how much I use, when I truly love a product I use it on pamper nights. I'm not sure if anyone else feels the same about beauty but please let me know if you do. 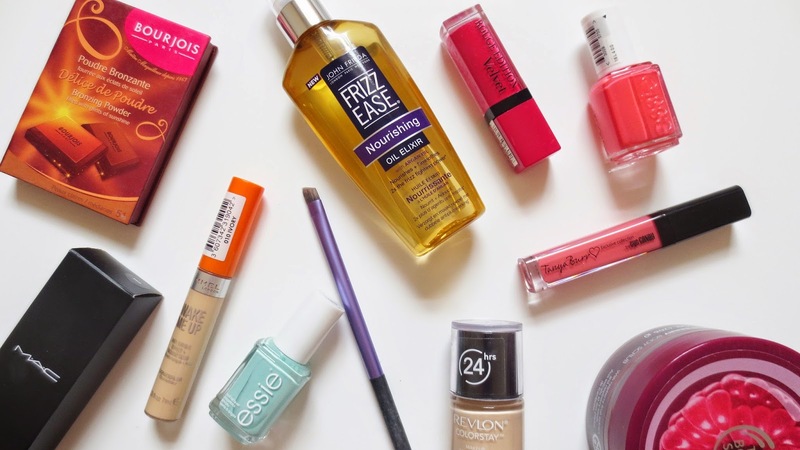 I am obsessed with beauty products but I think in a more fun, healthy way now. I used to spend money on anything and everything in Boots without truly knowing what was needed and what would suit me. I think a big splurge on beauty products is a must but not all the time, its more special now when I can go in and buy a couple more items to add to my collection. 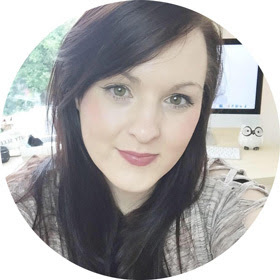 I get excited about creating content on my blog and I want it to benefit me and you. I want to show you products I truly love and items I would buy. beauty is a huge part of my life and always has been but I find I have a great balance about it now. I can be as creative as I possibly can with my blog too which is a huge bonus when it comes to a topic I adore. I think finding out what truly suits you as a person is the fun part about beauty, its not all about buying every single new release. You can create content with things you own and don't feel pressured to keep spending. I always have in mind the quality of the items rather than the quantity of items, I don't want products in my draws that I will never use. I think if you find a couple brands you truly trust, stick with them and every now and then if you see something that is new and will help you go for it. Beauty is about having fun, never feel like every new release will suit you. When there is a new hyped up product over on all the blogs I try note down what I think will benefit me with the product. Usually when I try the product I find that the reviews truly helped, it takes a few minutes, week or so to step back and make a list of items that can suit you. building up a beauty collection that suits you, it makes it fun too. With my make up whats not changed is the passion and my winged eye liner!! Let me know your stories on how you think beauty has changed for you? For this post I was inspiration by the lovely Jenny Purr! I've been thinking about writing a post about what beauty means to me for a while, but I'm more inspired by what you've written here and I'm really tempted to write about my own experience too. I suffered a lot of confidence issues due to acne at a young age, which I used makeup to hide behind, whereas now I concentrate more on skin care and caring for my skin, rather than covering it up. I guess that's part of growing up surrounded by beauty. Thanks for such a great post! thank you for the comment, I would love to read yours so if you do it please send me the link!! This was a really interesting read. I had a friend who spent the first year of High School in France (where she was from) and then she came to our School (which was very rebellious and had a laid back approach to makeup and the uniform) She really struggled to fit in as she never wore makeup anyway let alone to school! Us Brits do tend to grow up far quicker than a lot of places! aw wow thank you, so happy you enjoyed reading this. I really enjoyed typing it up!